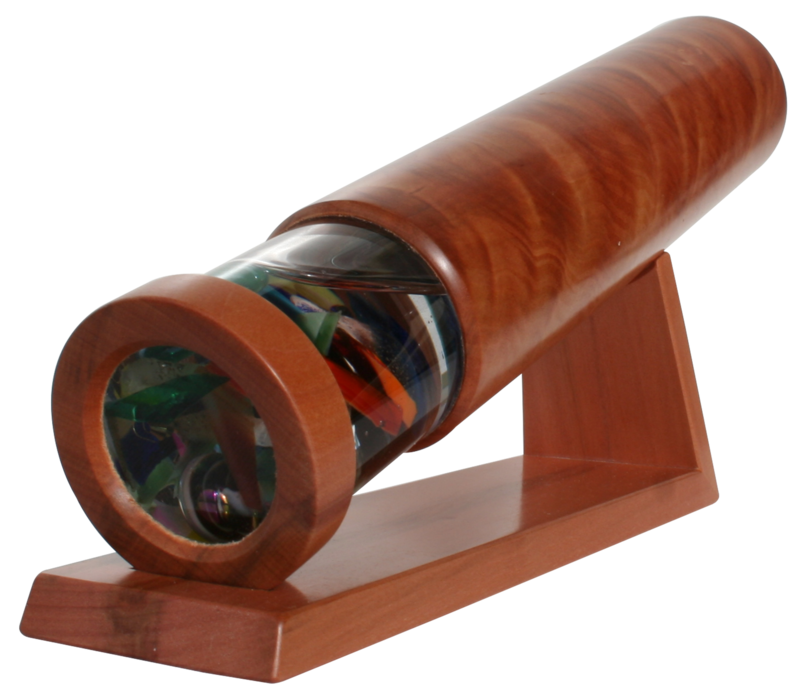 Our kaleidoscopes are handcrafted from beautiful Tasmanian timbers such as Myrtle, Huon Pine, Blackwood and Blackheart Sassafras. 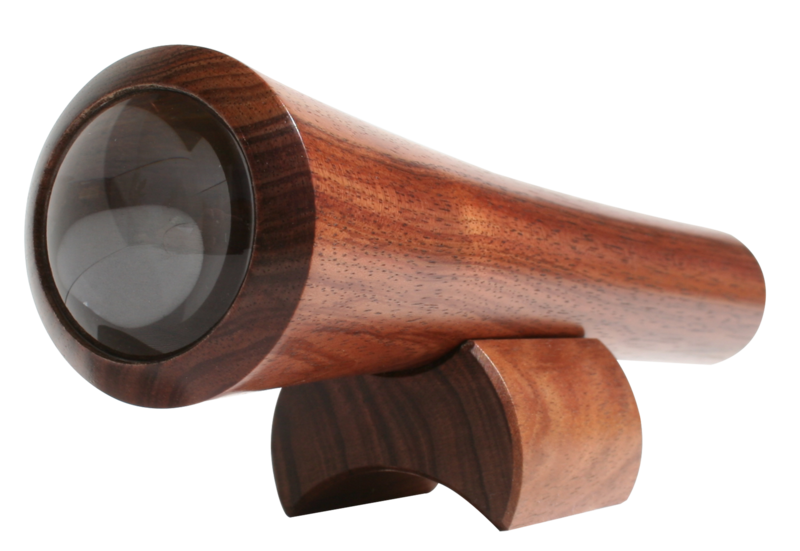 The Lenscope utilises an optical lense to create a crisp, clear kaleidoscope image of the world around you. Just find something bright and interesting to look at and the Lenscope does the rest for you! 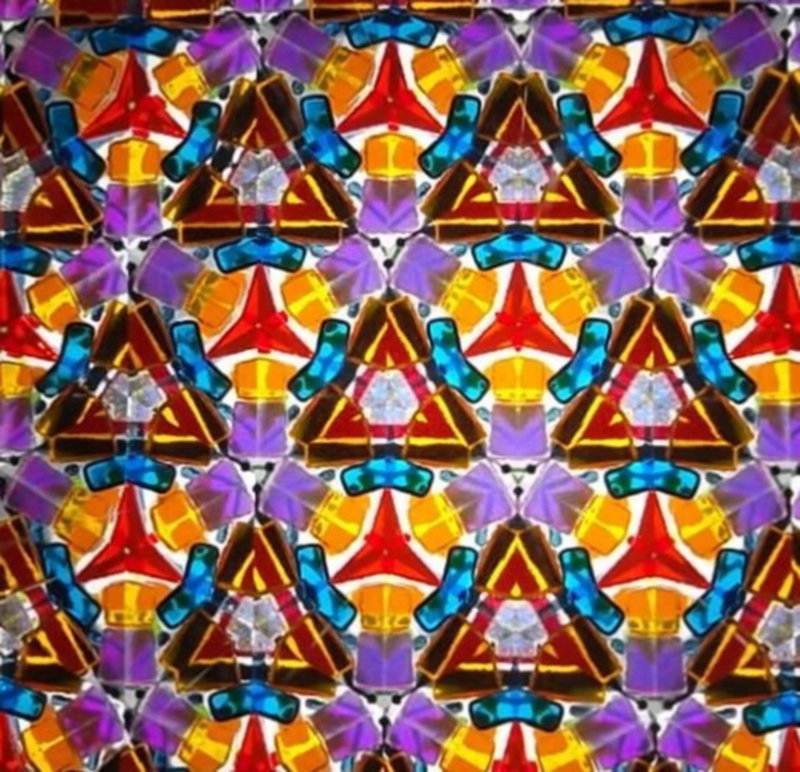 The Cycloscope utilises coloured agate and glass suspended in a clear, viscose fluid to create an ever changing array of patterns and colours to delight and inspire! The Marblescope features a hand-blown glass ball, made exclusively for this product by the Clements family, in Franklin, Tasmania. The Oilscope utilises a glass cylinder filled with coloured agate, glass and brass suspended in a clear, viscose fluid, allowing you to twist and turn the tube to create a never repeated array of patterns and colours! 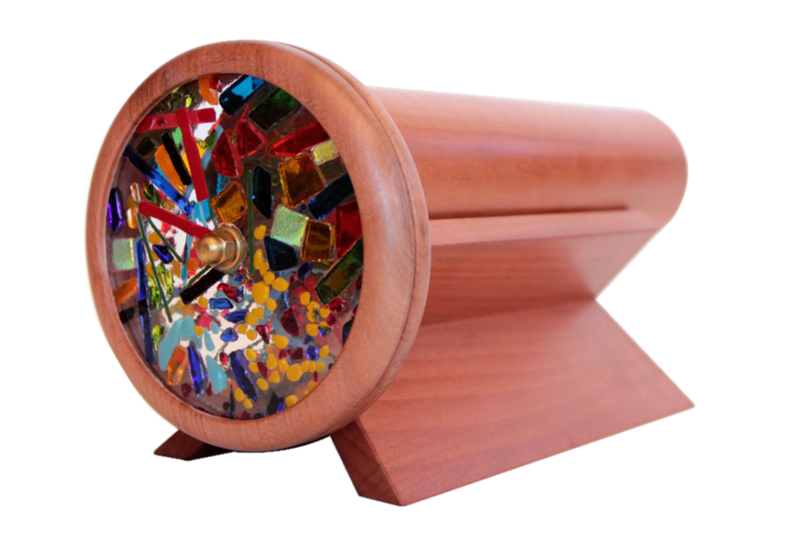 The Fusionscope features fused glass wheels handmade by Robert and Margaret Kirk of Shards Art Glass, to create vibrant patterns with each turn. Available in all four Tasmanian Timbers – Huon Pine, Sassafras, Myrtle (pictured) and Blackwood. Presented in an attractive and durable card gift box. The flowerscope uses the natural beauty of pressed flowers to create an infinite array of patterns and colour combinations. The dedicated workmanship, combined with the wonderful collection of native and exotic flowers make this scope a beautiful piece for display. Presented with a handcrafted display stand and timber gift box, it’s a piece to treasure forever. 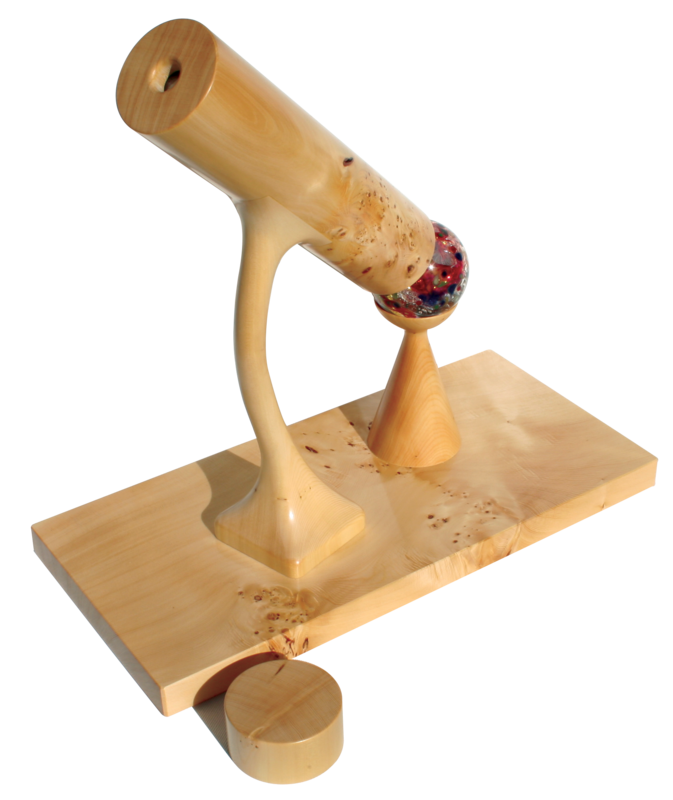 We often have flowerscopes in stock, ready to ship, however they are generally handmade to order, and delivery time will be approximately 1-2 weeks after order placement. Please follow the link below to contact us to make arrangements for your flowerscope order. The Tombolascope stands on a slender, hand carved pedestal, focussing down on a hand-blown glass marble made especially for this product by the Clements family. We often have tombolascopes in stock, ready to ship, however they are generally handmade to order, and delivery time will be approximately 1-2 weeks after order placement. Please follow the link below to contact us to make arrangements for your tombolascope order. 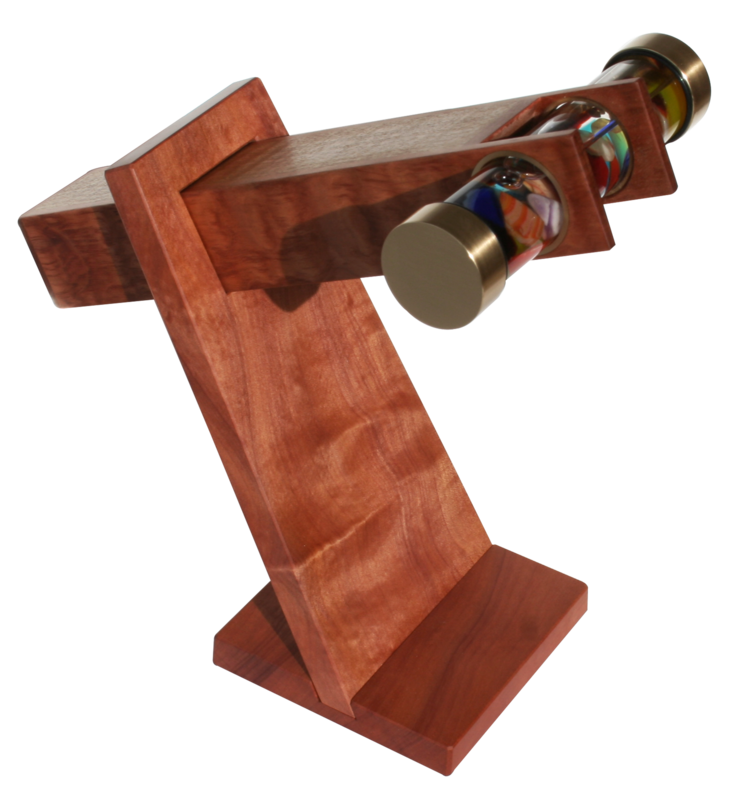 Our kaleidoscope range is available in four Tasmanian timbers, depending on your personal preference, please just indicate when ordering which you would prefer.